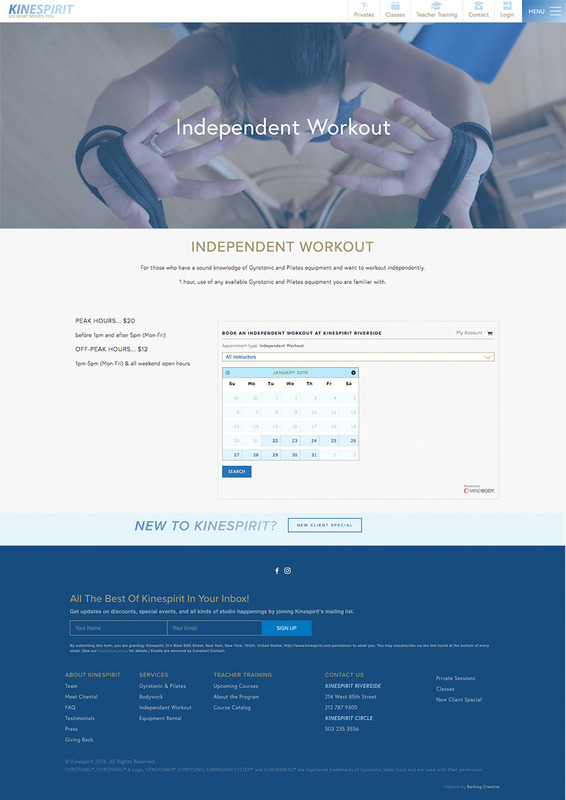 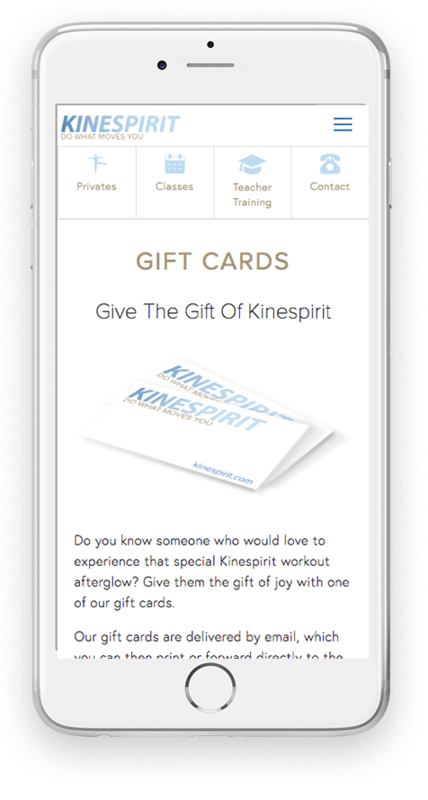 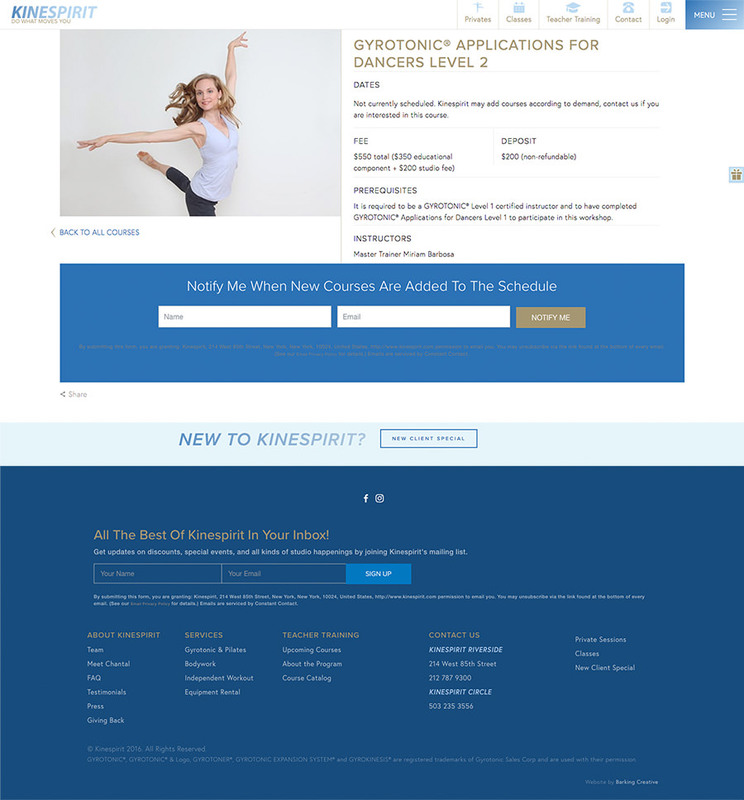 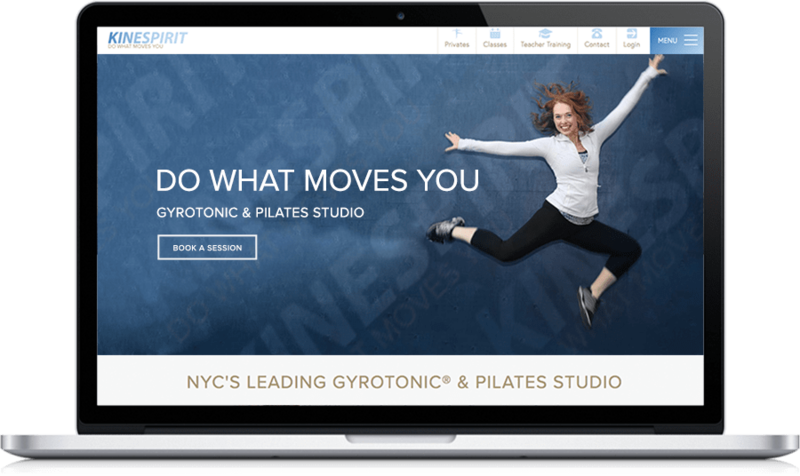 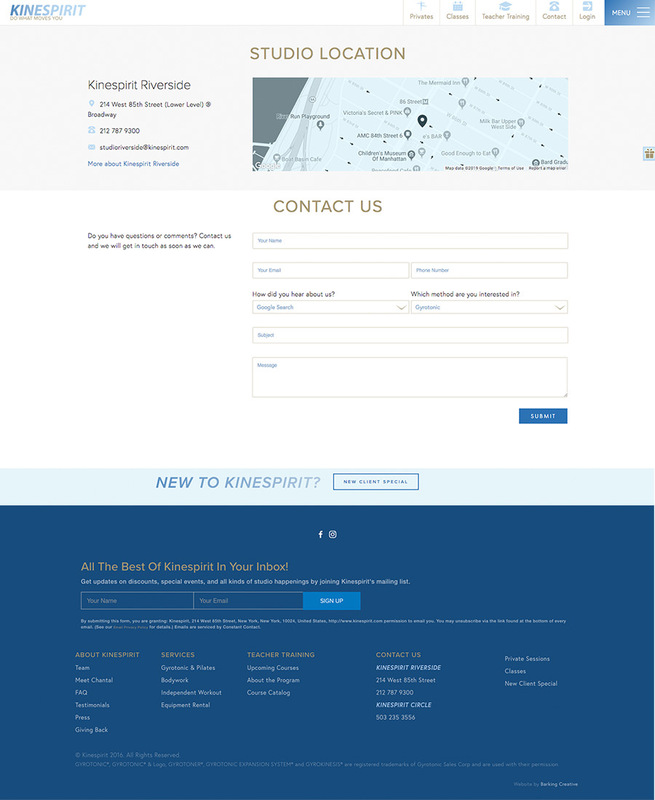 Kinespirit is a Gyrotonic and Pilates studio in Manhattan. 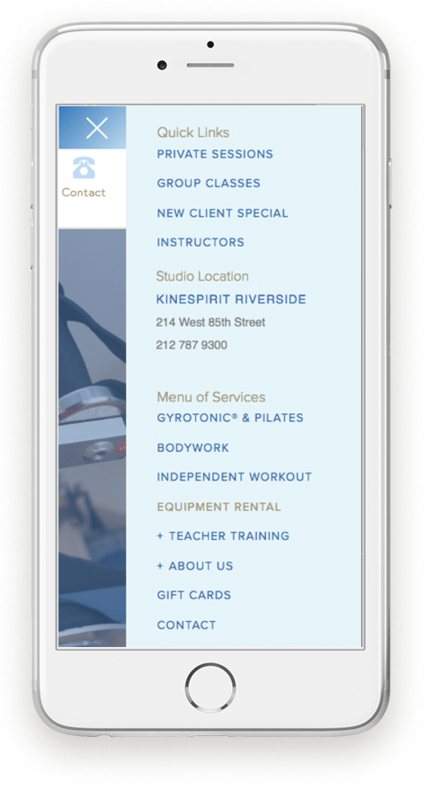 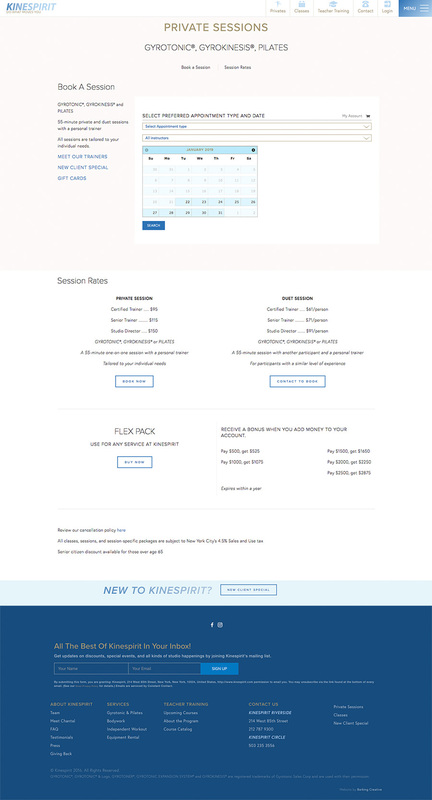 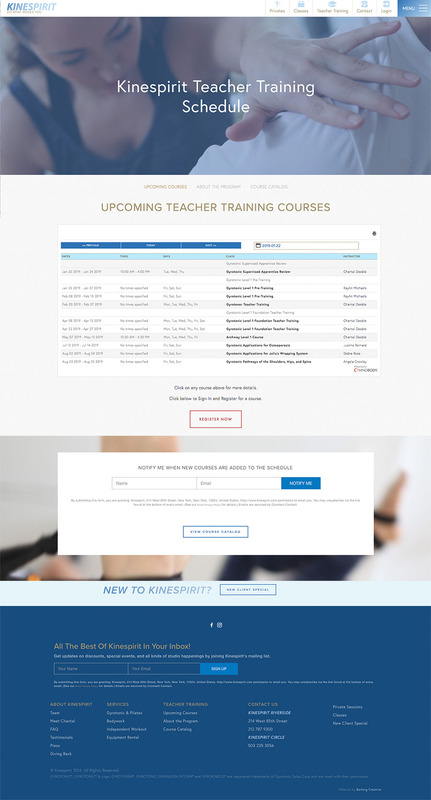 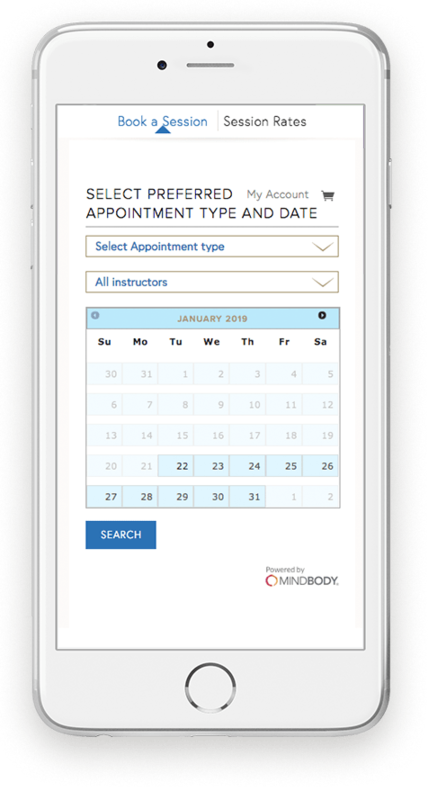 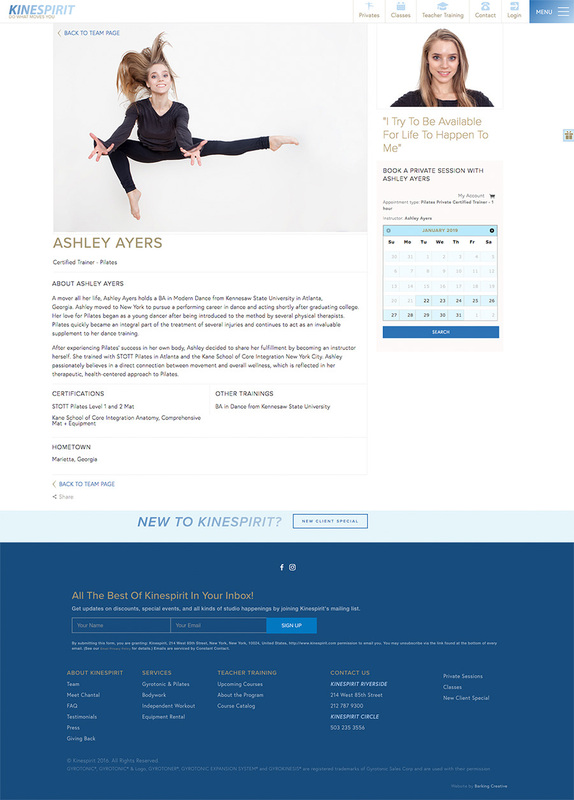 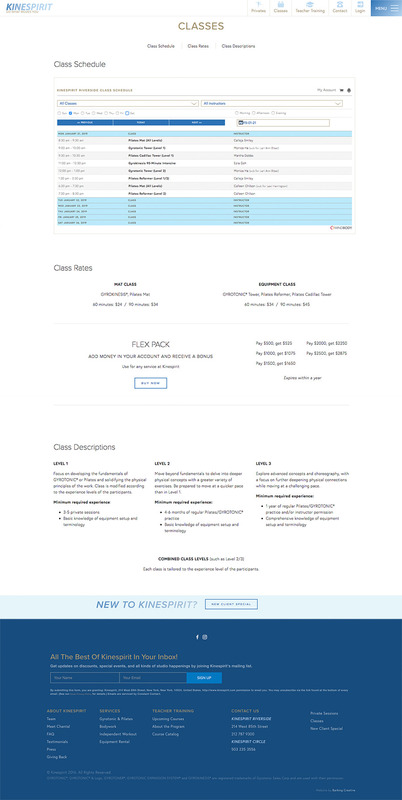 The custom designed website features information about the studio and integration with MindBodyOnline booking portal. 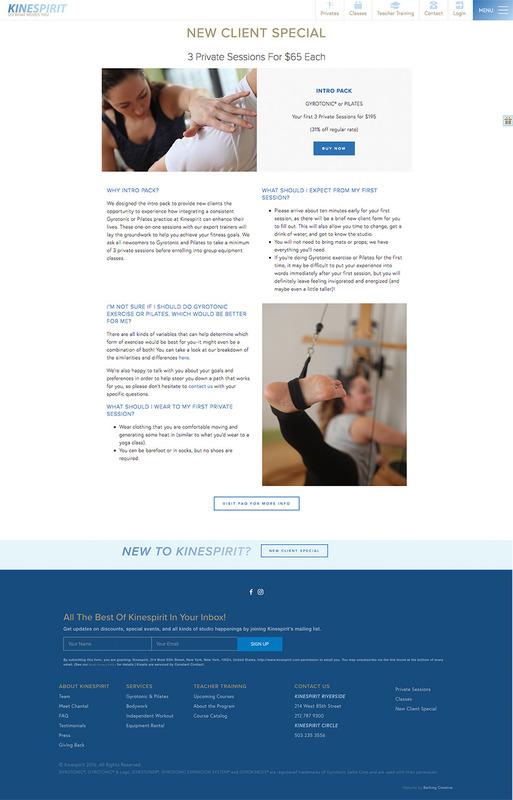 Barking Design created a website and brand identity for the studio, as well as the studio’s second location in Oregon, Kinespirit Circle. 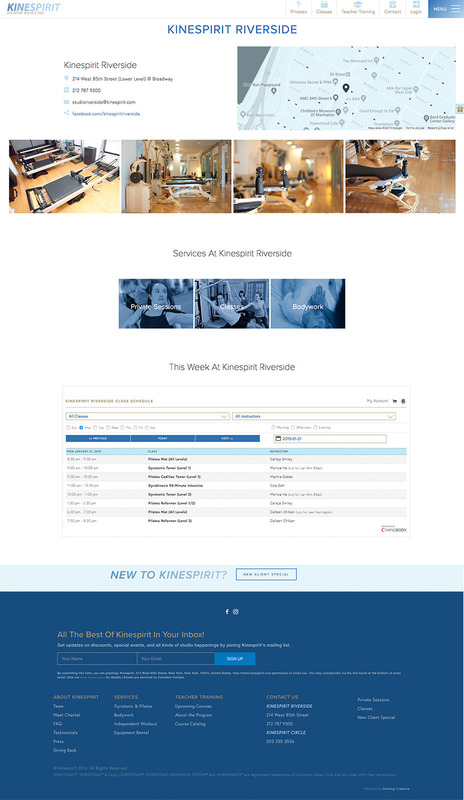 We also had a series of phtoshoots to create images for both studios.